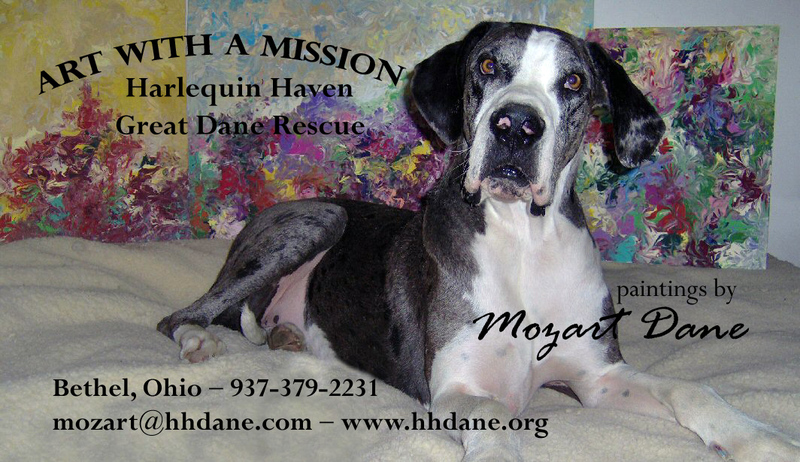 I am the Harlequin Haven Great Dane Rescue Spokesdog against puppy mills, pet stores, and homeless dogs. 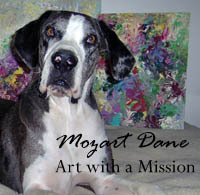 I have dedicated my life to this cause and in doing so I create art by painting with my paws. Painting helps me to overcome my pain of my early days in a puppy mill and also helps with bringing awareness to these issues.